Every Christmas, people get together for cookie exchanges. 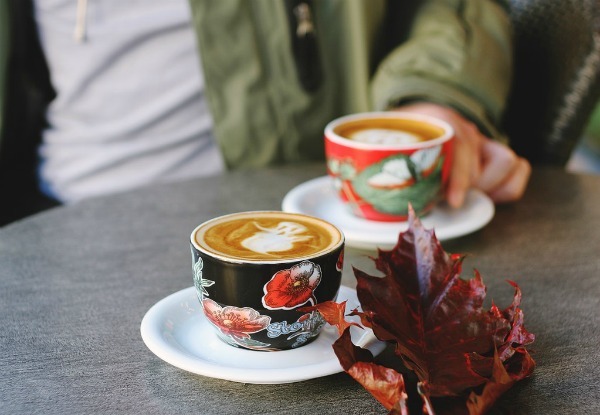 But this fun idea does not have to be limited to just the festive holiday season. Why should cookies be limited to just the winter? 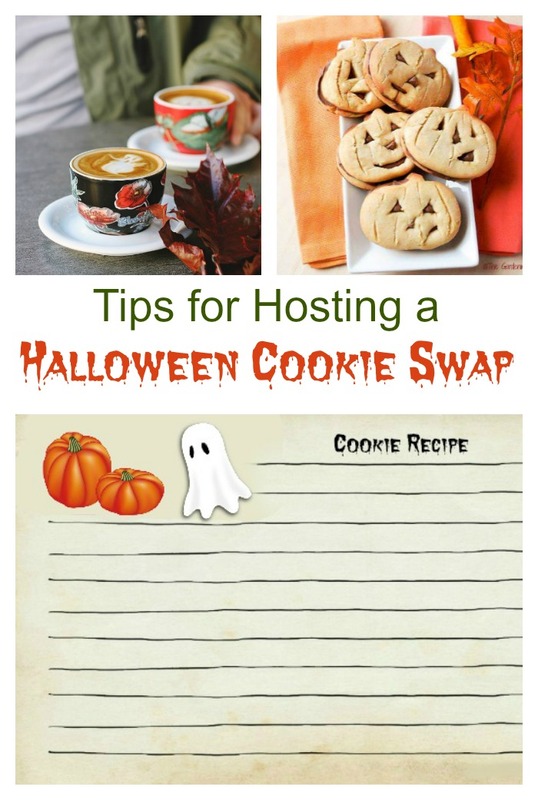 I’ve put together some tips for hosting a Halloween cookie exchange. Since October 1 is National Home Made Cookie day, it’s the perfect time to get baking for a cookie swap. 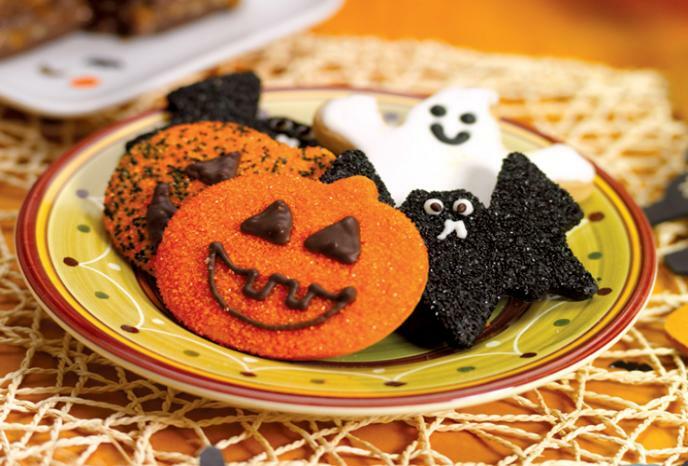 This holiday season, plan a Halloween Cookie Exchange. 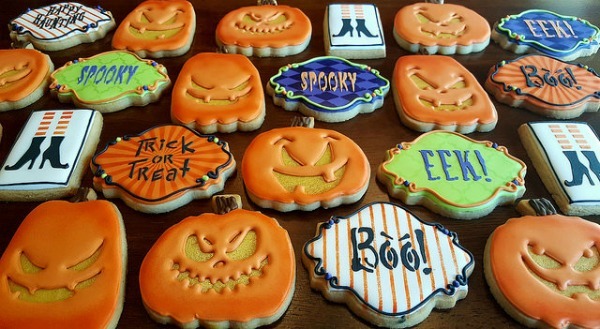 There are dozens of great Halloween cookie designs out there now and combining them into a Halloween cookie swap would be a great, fun way to get together with your friends and get some new cookie decorating ideas as well. 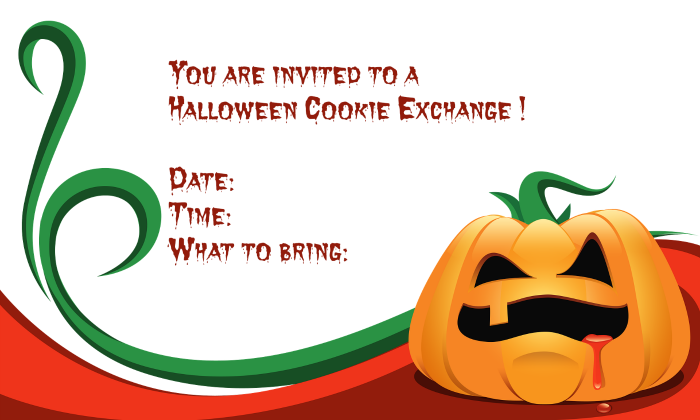 A fun and festive invite to your Halloween cookie exchange will really set the mood and make your invited guests eager to take part. Send out invitations with a Halloween theme. Tell your guests how many cookies to bring and any additional instructions you wish to include. This will make sure that your guests know that you’ll be sharing the cookies that each person brings, not just having a get together where you provide all the food. 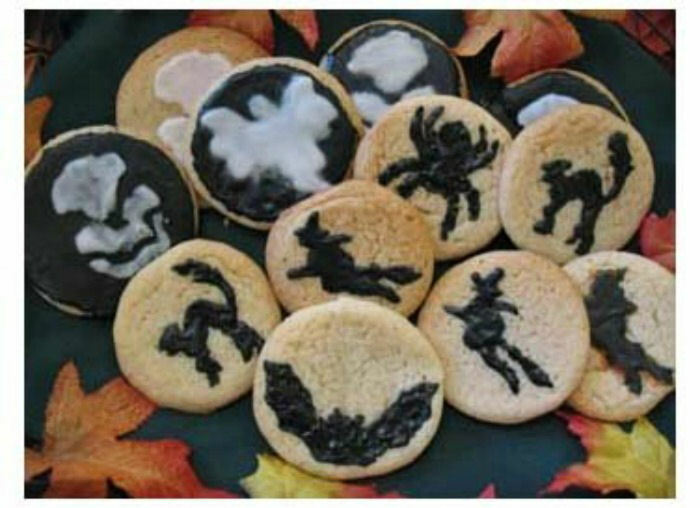 Bake some Halloween cookies yourself and decorate them for Halloween. There are many sources for recipes. Pinterest is a great one! You don’t have to be too elaborate on the recipe. Slice and bake cookies will work just fine if you are pressed for time. You could even have decorating the cookies as a part of the party itself. Set up for your party. 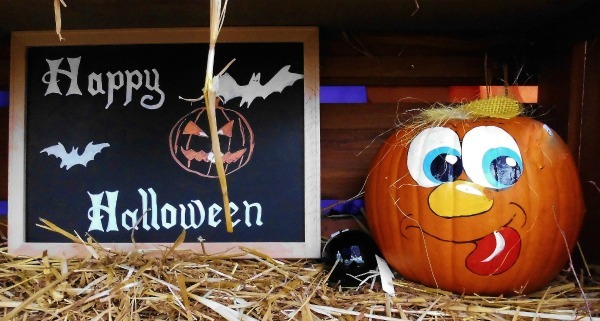 You can decorate with just a few Jack O Lanterns, or go all out and decorate the room the party is in, the porch and so on. The decorations will really put guests in a party mood and turn it into a fun event. Once the guests have arrived and their cookies are on the table, be sure to have some cards or labels handy so that you can tell the guests what the cookies are made of. This is handy in case of food allergies. 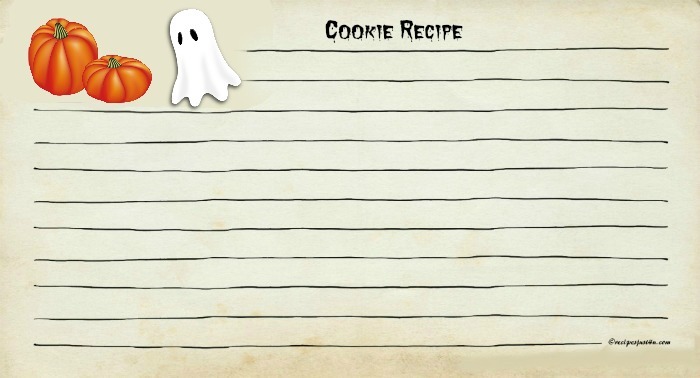 The guests will be bringing their recipes, but be sure to have some fun Halloween recipe cards on hand so they can print their recipes on a whimsical recipe card to take home with them when they leave. This recipe card can be printed out if you don’t have one yourself. 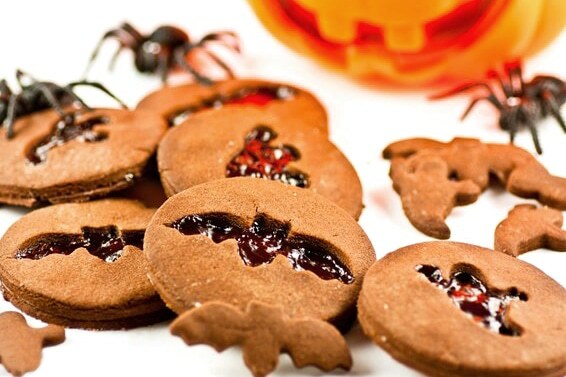 As tasty as Halloween cookies are, you won’t want your guest to be just eating cookies. Prepare your beverages and any additional snacks you wish to serve so that you don’t only eat cookies! Have your party and enjoy your guests. Allow each guest to sample the cookies that others have brought. At the end of the party, divide their contributions among the guests so that each person takes home the range of cookies that others have brought to the party. Be sure to have some boxes or Dollar Store trays on hand so that the guest have something to carry all the cookies in. Now that you have decided to host the cookie swap, you may be looking for some fun cookie ideas for your contribution to the party. 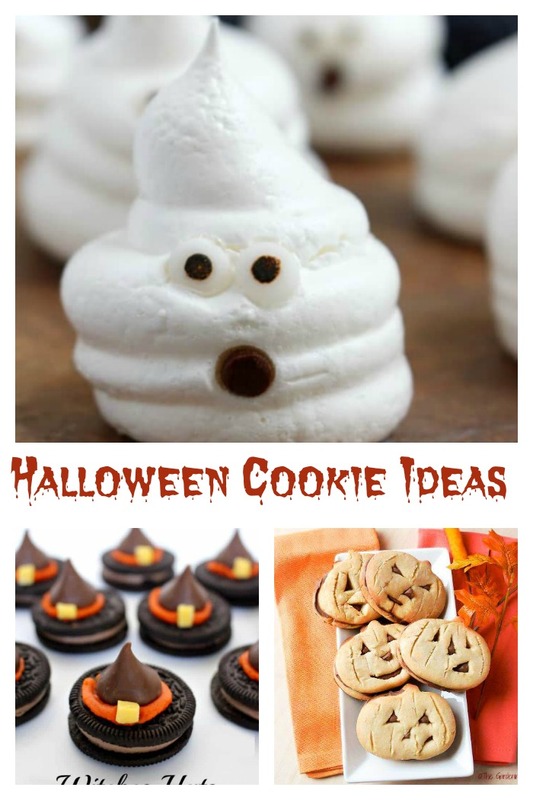 Here are some great Halloween cookie ideas for you to bake or decorate. Just click on any of the images or the links below them to go to the recipes for the cookie picture. 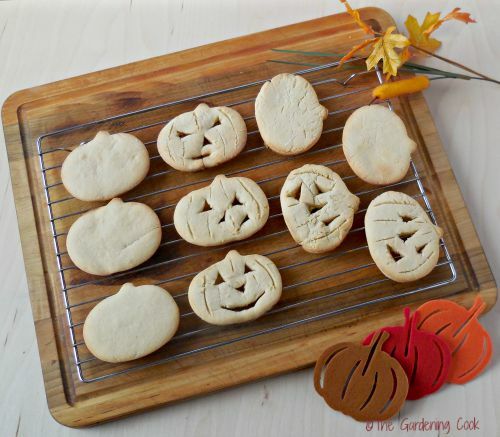 These cute Halloween sugar cookies are all dressed up for the party. Plain sugar cookies cute with festive cookie cutters are decorated in style. See how to make them at Foodland. These cute cookies take a little bit more skill but will be a great hit at your cookie swap. A toothpick is drawn through the icing to make the spider webs. 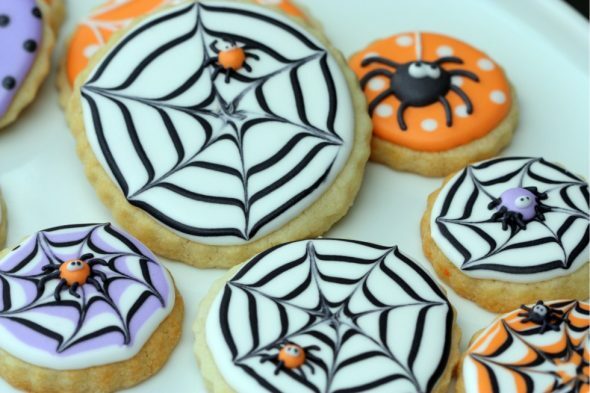 Find out how to make these spider web cookies at Sweetopia. If you are not a great cookie decorator, you will love this idea. Use stencils to decorate your cookies. You can use normal stencils on a round sugar cookie, and just frost over the opening. Easy peasy! See more at All About Stencils. If you like fruit flavored cookies instead of frosted ones, this recipe will appeal to you. It uses a jam filled cut out (the cut outs can be small cookies too!). See how to make them at Delicious Everyday. These cute candy corn cookies take a bit more skill than the normal Halloween cookie does but imagine how popular they will be at the cookie swap. 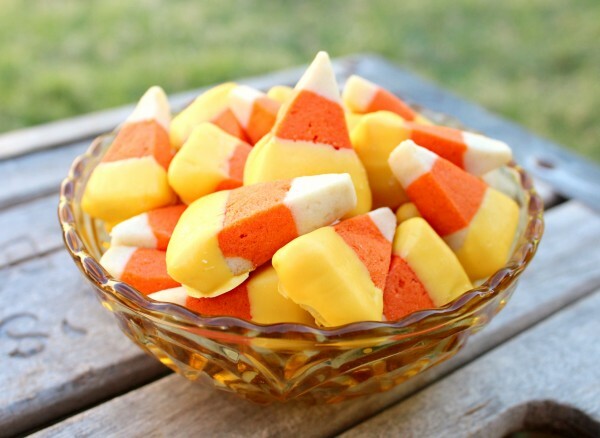 To make these cookies, you have to do a cookie dough, color it and then form it into rolls for slice and bake the cookies and slice them into a candy corn shape. See the candy corn cookie recipe and how to make it at Sweet Sugar Belle. 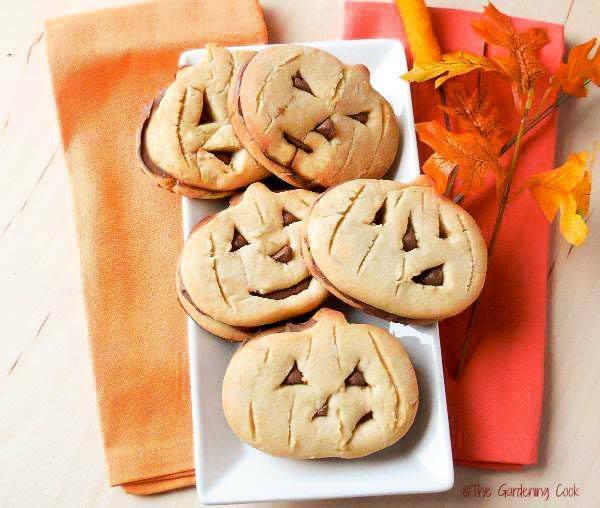 These fun Jack O Lantern cookies are surprisingly easy to make. They are sure to be a hit at any cookie exchange. Get the recipe here. 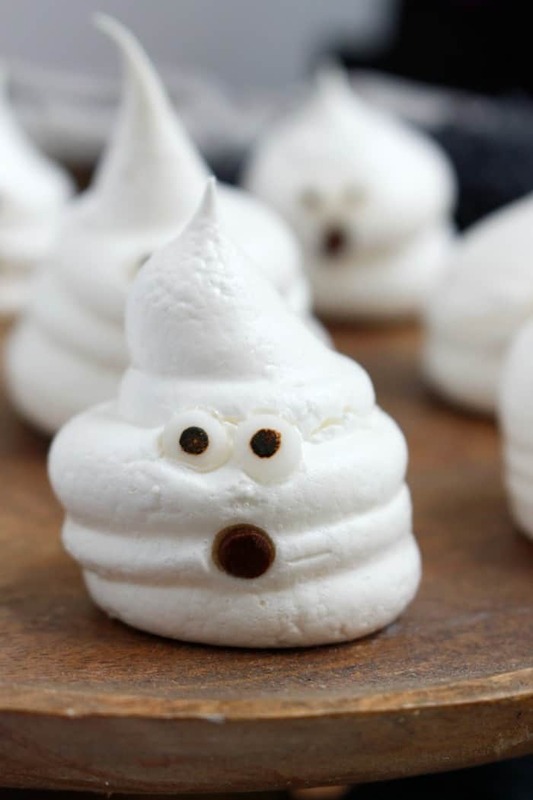 These sweet little Halloween ghost meringue cookies will be the hit of your cookie swap. They are made just like any normal meringue but piped into ghost shapes and decorated with chocolate. The kids will love to gobble up these sweet treats! See how to make the ghost meringues at Princess Pinky Girl This little trio of cookies are as easy to do as can be. 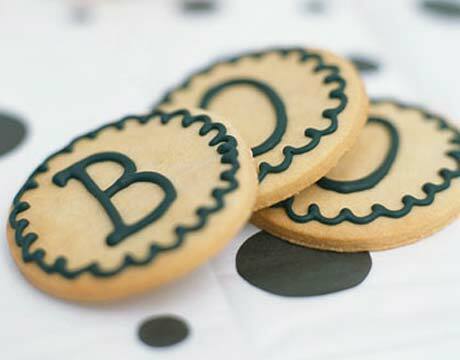 Just make a round sugar cookie and then pipe the letters BOO in the centers and surround the edge with a scalloped design. For a variation, you could pipe the whole word in the centers, such as Ghost, Witch, Boo, Mummy, etc. Idea shared from Country Living Magazine. 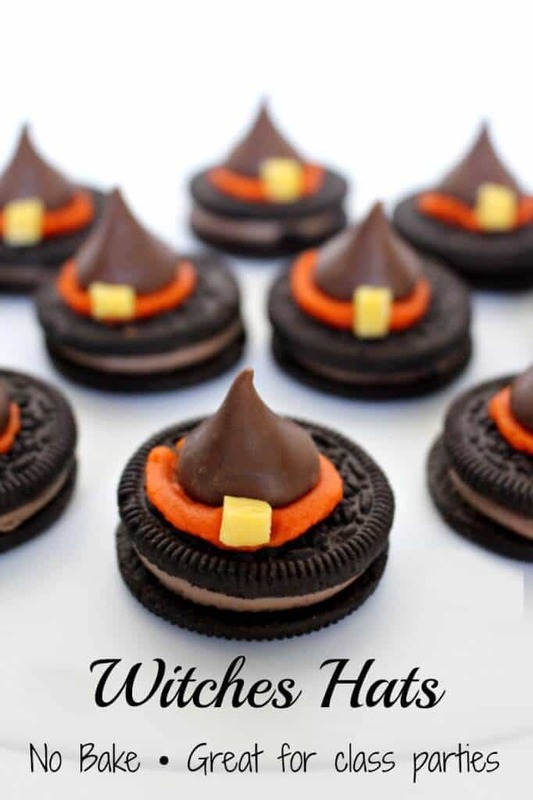 No baking is needed for these fun Witches Hat cookies. Just Decorate some filled Oreo cookies and get that party started! See the tutorial here. 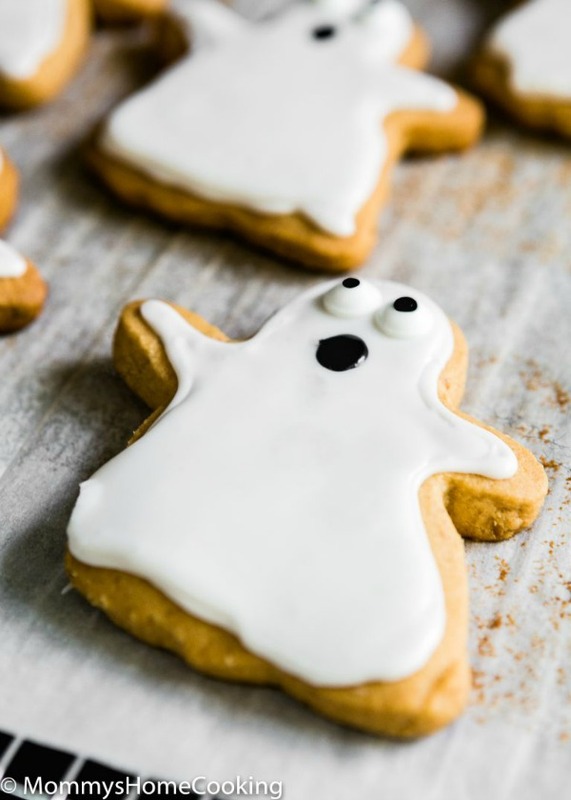 These eggless peanut butter ghost cookies are made with just three ingredients. Get the recipe at Mommy’s Home Cooking. 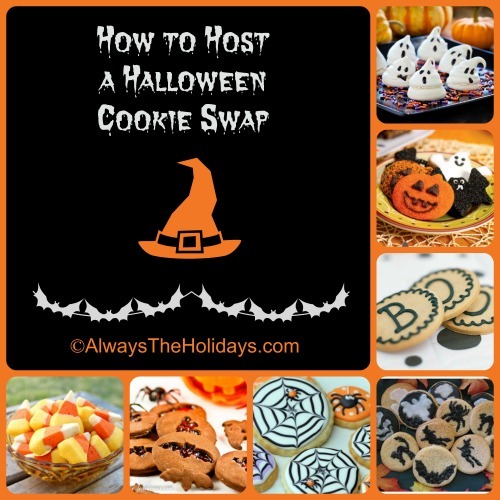 If you would like a reminder of this post for hosting a Halloween cookie exchange, just pin this photo to one of your Halloween boards on Pinterest. Admin note: This post first appeared on the blog in September of 2015. I have updated the post to add new recipes, tips and photos.